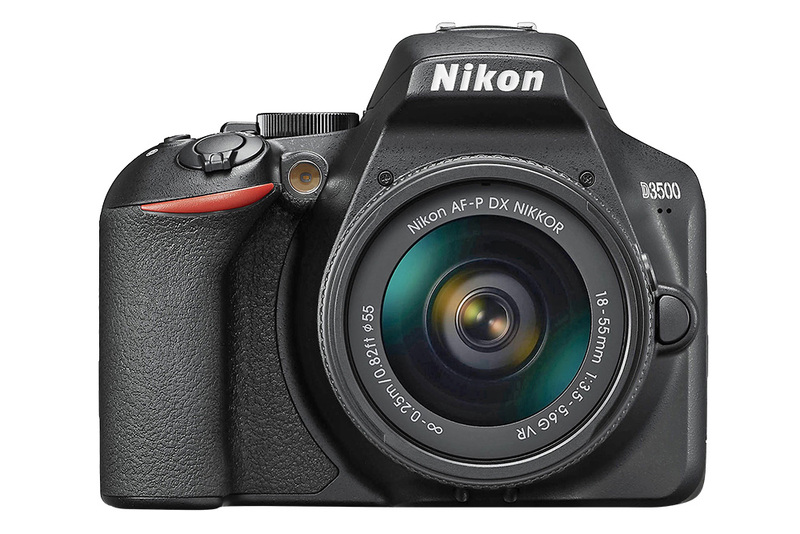 Nikon’s latest entry into the budget DSLR category, the D3500 is bundled with an AF-P DX 18-55mm f/3.5-5.6G lens, which offers great results for a kit lens. Under the hood, you’ll find a brand new 24.2MP sensor, ISO range of 100-25,600 – perfect for low-light shooting – and nippy 5fps continuous shooting speed. There are 11 AF points, which utilise phase detection, or contrast detection when composing using the fixed 3in 921k-dot tilting rear screen. If you’re looking for style, the D3500 has had a physical overhaul compared to its predecessor, and now rocks in at a lightweight 415g. It also boasts a handy guide, much like the Canon offerings. If you want to record life’s moments, it captures Full HD 1080p at 60fps, which is double the speed of the Canon – ideal for occasional movie shooting. As with others here, you have access to a number of colour profiles, or the Picture Control System, which can add that extra something to your shots. It also offers a phenomenal best in test 1550-shot battery life. Find out more on the Nikon website.